"With the end of 2018, we have been able to achieve several goals we had set for ourselves. 2019 is an important year for the company because we celebrate 20 years of production in the organic sector!". This is what Carlo Simonato, owner of the Italian Simonato brothers' company, announces. The company of the Simonato brothers is located in Due Carrare, in the province of Padova. Their greenhouses cover a total area of 40,000 square meters. It is a very large and well-known company, among the largest in Italy, for the production of organic aromatic plants. 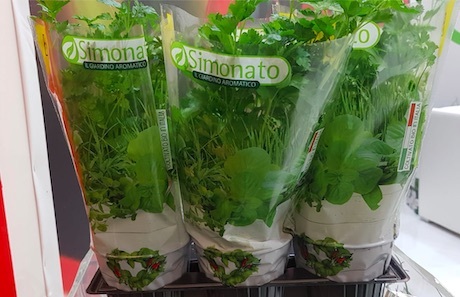 Some of their products are available all year round, such as: basil, sage, parsley, chives, rosemary, mint, oregano, marjoram, thyme, dill, lemon balm, coriander, watercress, chervil, chamomile, lavender and licorice. "The demand for fresh aromatic herbs is increasing thanks to a greater knowledge and interest regarding their medicinal and nutritional properties. Many restaurants all over the world and even pharmaceutical and natural cosmetics companies are now requesting these products", Carlo explains. Additionally, the demand for organic products is rapidly growing, recording a high double-digit growth. This market segment offers great opportunities, provided that such activities are strictly consistent with the respect of EU protocols. Rosanna Bertoldin, marketing manager of the Simonato brothers' company. 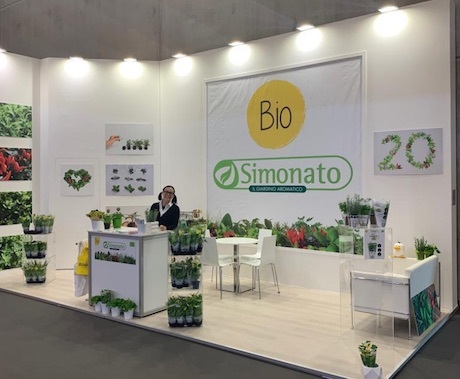 "The month of February ends for us with great enthusiasm, also by virtue of the participation in the two Fruit Logistica & Biofach 2019, where we have focused on promoting BioKepos3. This is a new packaging line with zero environmental impact, consisting of a jar made of vegetable fibers, an industrially compostable bag and an information sheet made of food paper." 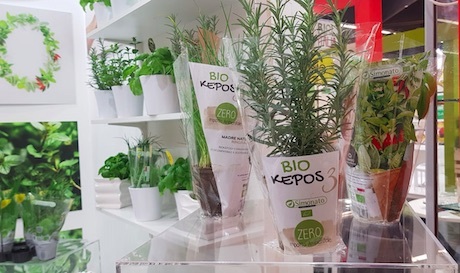 According to Carlo Simonato, the three strengths of BIO KEPOS 3 start with the jar. "Made from vegetable fibers which can be disposed of in the organic waste container once the plant has been consumed or used." Then there's the packaging bag. "Made of an industrially biodegradable material, which must be disposed of in the city's organic waste containers." Finally there's the information sheet in certified paper for food use that, after use, can be recycled. "Our Italian culinary excellence is very well-known and appreciated all across the globe. In occasion of these two trade fairs to which we participated, we clearly noticed the impact that our culinary reputation has on Italian farms in the field of organic production." The history of the family company starts in the first half of the 1900s. Currently, this project has now reached the third generation. Since 1997, the company began to embrace organic production, followed by the BIO certification issued by the Institute for Environmental Ethics Certification - ICEA in 2000.